What Is Loneliness Doing To Your Brain? Did you know loneliness is now considered an epidemic? Find out how it manifests in the brain and what you can do about it. Share your experience to talk to strangers and/or any opinions/recommendations here! Chickens are helping senior citizens fight loneliness in a major way ???? Thank you for visiting this post in the blog! This post is for people who come here because of my business card handed during my trip to Japan from Vancouver, BC. I am curious how people feel about talking to strangers. I appreciate if you can share your experience in the comment below. If you do not want to share in public, please mentioned about it in your comment. Your comment always comes to me first. Your post does not automatically appear in this blog. 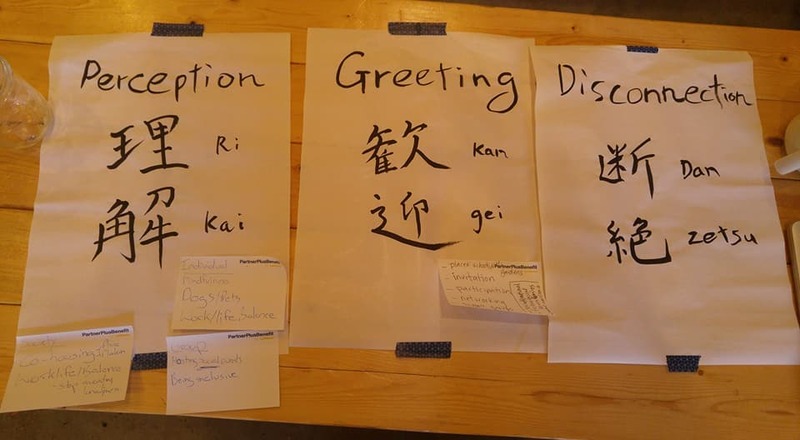 These three words about loneliness/human connection came up after three groups’ discussion. Please share your progress with human connection and/or goals that you set up in the class!